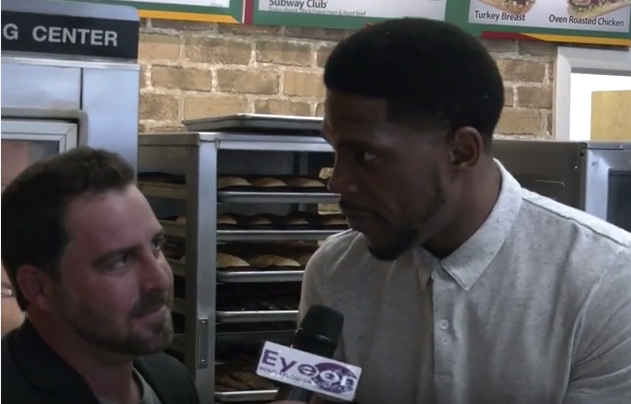 Host Evan Golden has exclusive coverage as he catches up with Miami Heat player Udonis Haslem at the grand opening of his Subway restaurant. Udonis Johneal Haslem born June 9, 1980 is an American professional basketball player for the Miami Heat of the National Basketball Association (NBA). 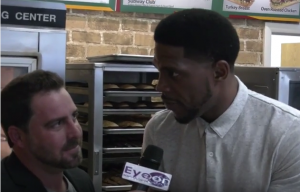 Haslem played college basketball for the University of Florida, where he was a key member of four Florida Gators NCAA tournament teams. He played professional basketball in France for a year, and then signed with the Miami Heat as an undrafted free agent in 2003. He has won three NBA championships while playing for the Heat. Subway is an American fast food restaurant franchise that primarily sells submarine sandwiches (subs) and salads. It is owned and operated by Doctor’s Associates Inc. Subway is one of the fastest growing franchises in the world, with 44,280 restaurants in 110 countries and territories as of September 18, 2015. It is the largest single-brand restaurant chain and the largest restaurant operator in the world.